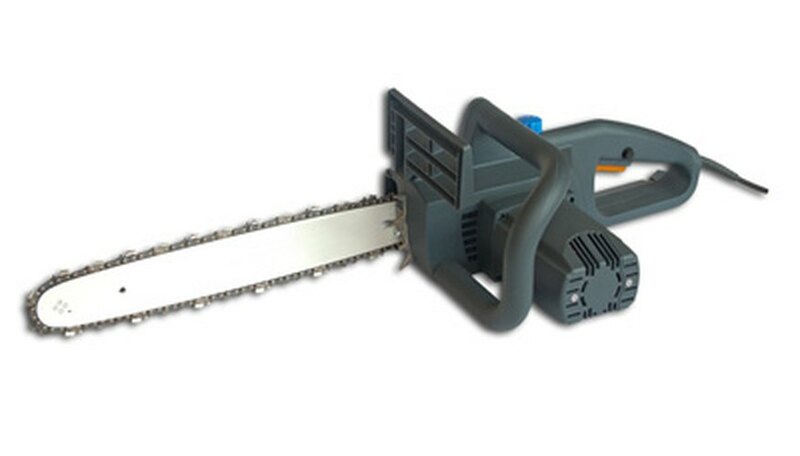 The clutch on a Homelite chainsaw is one of the most crucial cutting components. If the clutch is worn out, damaged or broken in any way, you will likely experience major problems when trying to cut. Removal and clutch replacement is quite simple if you’re familiar with your Homelite’s parts and have the right tools. The clutch is inside the clutch cover on the engine. To access the clutch, you need to remove the clutch cover, bar and chain. Clean out the engine area underneath the clutch cover to keep any dirt and debris from entering the clutch assembly when you take it off. Most Homelite saws have an outboard clutch. Basically, this means that the chain is in between the clutch and the engine, or the clutch is above the chain. Inboard clutches put the clutch underneath the chain and above the engine. Outboard clutches are generally used for homeowner’s saws and inboards are used in professional felling. In either case, the steps will be slightly different depending on whether you have an inboard or outboard clutch. One of the major problems people encounter when trying to remove the flywheel and the clutch is movement of the crankshaft. If the crankshaft isn’t stopped, the piston will move and that will cause the clutch to spin, which makes taking off the clutch almost impossible. There are many methods to get the piston blocked. You could jam some of the starter cord or a clothesline into the spark plug’s hole. Don’t do this unless you are familiar with how the piston moves inside its cylinder. If the piston isn’t in the right position and you push too much of the cord into the chamber, a little piece of the cord will push out through the exhaust port. Later, this will make removing the cord difficult and you can shear off part of the rope, which will get stuck inside the exhaust port and ruin your engine. Buy the piston stop tool from Homelite; they are inexpensive and will not ruin your engine. If you can’t get the piston stop tool and need to use the cord trick, remove the muffler cover so you can see the exhaust port. Tie knots into the cord and only push down three to four inches of rope. Absolutely make sure the piston is almost at the end of its upward compression stroke and not on its downward stroke. Homelite manufactures a specific tool that allows you to grab the flywheel, loosen the clutch's bolt and pull both of them off together. If you can’t find this tool, you can use a hammer and a punch to gently tap on a solid part of the clutch to release the tension. Turning the bolt or the clutch clockwise loosens all Homelite saw clutches. Never use an impact gun to release the clutch. This can seriously damage your flywheel, which can be expensive to replace. Also, do not pound hard on the clutch with a hammer; this can damage the clutch or the clutch spring. Whenever you remove the clutch, look for damage or heavy wear and turn. Replace any parts that look broken or worn down. Install the clutch in the same place and always tighten the bolt counterclockwise to lock the clutch in place.